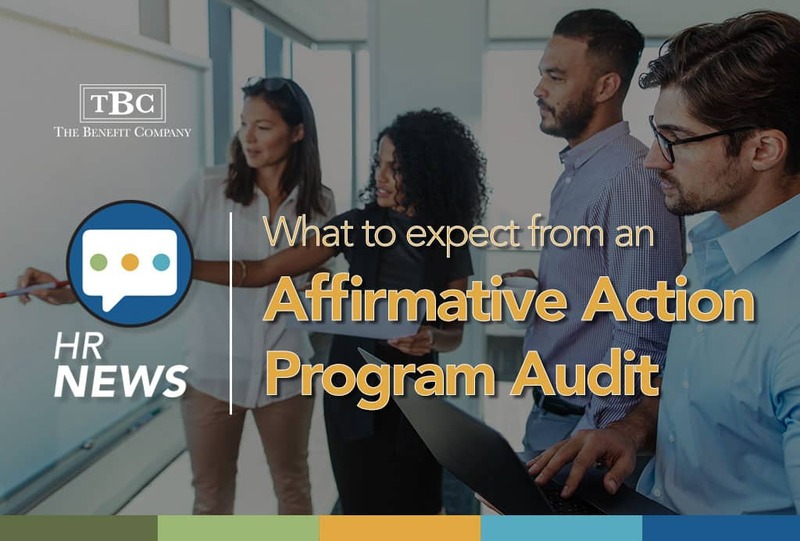 Last month I mentioned the importance of getting your Affirmative Action Program (AAP) updated early in the year, just in case you get a letter from the Office of Federal Contract Compliance Programs (OFCCP) saying your company is going to be audited. If you are required to produce an AAP but have never been audited, here is a preview of what you can expect. The certified letter from the OFCCP informing your company of an upcoming audit is likely to be addressed to either your HR Director or your CEO. It will indicate which establishment location, functional unit or corporate headquarters is the target of the audit. The letter will list very specifically the items you are required to submit to the OFCCP for the first phase of the audit: the desk audit. You have 30 days to submit the information, preferably in an electronic format. The AAP review typically has three phases: a desk audit, an on-site review and an off-site analysis. For the desk audit, you will submit your three AAPs: the main AAP, required under Executive Order 11246, in which you have all your jobs plugged into appropriate job groups, and have analyzed how your representation of females and minorities in your workforce compares to availability; your AAP required under Section 503 of the Rehabilitation Act of 1973 (outreach and recruitment efforts for qualified individuals with disabilities); and your AAP under the Vietnam Era Veterans’ Readjustment Assistance Act of 1974 (VEVRAA) (outreach and recruitment efforts for qualified protected veterans). You will also submit all your supporting data, including: data on applicants, hires, promotions and terminations; compensation data; EEO-1 reports; collective bargaining agreements; status against placement goals for females and minorities; reasonable accommodation policies; assessment of your personnel processes; and your most recent assessment of physical and mental qualifications. The OFCCP estimates that the average time to complete this information collection is 27.9 hours. That number assumes that you actually have a current AAP……you would be adding many, many more hours if you must gather the data to create or update your AAP in preparation for the audit. Hopefully, this information will prompt those of you with an outdated or deficient AAP to contact your employment attorney sooner rather than later and get help whipping things into shape so you can avoid a panic attack when/if a letter from the OFCCP arrives! This newsletter is not intended to provide legal guidance to you. We welcome your input on topics you would like to learn more about. We encourage you to contact the author of this newsletter, Caryl Kuchman, SPHR, SHRM-SCP at 803.729.8398 or at canaris@hargray.com if you have questions on any information presented.